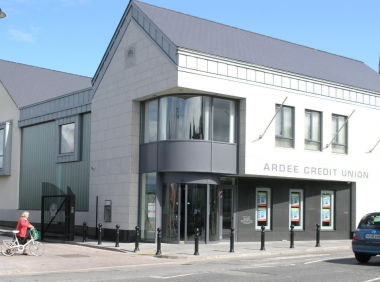 Ardee Credit Union was founded to encourage thrift and provide affordable credit to its members in a non-profit making organisation. This purpose is as valid today as it was all those years ago. In 1962 a group of courageous people gathered at the Gaelic room in the Parochial Hall in Ardee. Their task was to investigate the Credit Union movement in Ireland. They wanted to see if it was feasible to start up a Credit Union in our area. At the time very little was known about Credit Unions, as the first Credit Union had only opened four years prior to this. The study group had several discussions and decided they needed help. So they visited Clones Credit Union in Co Monaghan (there was no Credit Union in Co. Louth at the time). Fortunately a member of the group gained contact with Fr Gallagher, who was the President of the I.L.C.U. at the time. They also gained knowledge from a man in Canada who spoke of the benefits of the Credit Union. In July 1962 a meeting of the Local Development Association was held to consider the establishment of a Credit Union. Another meeting was held in September 1962 and from this meeting it was decided that the group should meet every Friday night. At a meeting in October 1962 a report was taken from the study group to consider the results of their discussions. A long debate ensued and it was decided to put the Credit Union on a working basis. A president was proposed. The president then selected a committee from those present. They then elected the Board of Directors, Credit Committee, Supervisory Committee and other officers necessary. The Credit Union’s goal was to encourage thrift and provide affordable credit to its members in a non-profit making organisation. The common bond established in 1962 has grown to include the common bond of Collon, Louth Village and Parish of Darver, Dromiskin. The efforts of those involved through the years have helped make the Credit Union what it is today a vibrant, efficient and friendly financial organisation.